Devon - The Plough Arts Centre. Dorset - Bridport Arts Centre. Recording with Mike Thorne on his follow-up album to Sprawl. 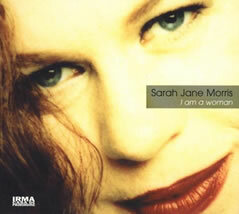 Promoting the release of I Am A Woman, a compilation album, with concerts at The Stables in Wavenden, The Library Theatre in Solihull, The Komedia in Brighton, The Ocean in London, The Phoenix Arts Centre Leicester, The Clocktower in Croydon, Band on the Wall in Manchester, The Lemon Tree Aberdeen, The McRobert Arts Centre in Stirling, Berwick Arts Centre, Windsor Arts Centre, The RSC’s Summer House in Stratford-upon-Avon. Travels to the Chapel Studios near Grimsby with David Coulter to guest on Thea Gilmore’s second album. Flies to San Francisco to meet, for the first time, her cousins Armistead Maupin (the author of ‘Tales of The City’, ‘The Night Listener’) and his sister Jane. To Italy for the wonderful outdoor festivals. Plays first New York concerts on September 11th (now univcersally known as 9/11) with Matt Backer and Scott Firth at The ‘Bottom Line’ followed by ‘The Tonic Club’. Flew home safely. Hell Blues Festival in Norway. More UK - the Komedia in Brighton, the Ocean in London, St.Albans, The Dream Factory Warwick, Burton-on-Trent. 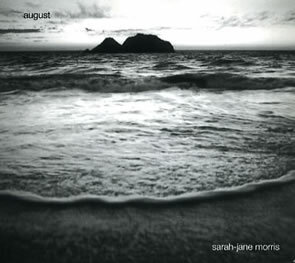 Ronnie Scott’s and various radio sessions in order to promote the UK release of August, the first album to be released on Fallen Angel Records. The press is very favourable which helped open doors to a new audience. 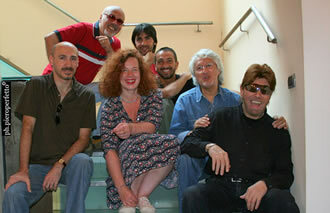 Umbria Winter Jazz Festival, performing seven sell out concerts leading into the New Year. Records an advertisement for Galaxy Casino always have free casino bonus offers, to be able to get this bonus, you'll need to sign up and make a small deposit. Parts company with Ross Fitzsimons, her manager. Fallen Angel born as management, agency, production and record company. Three and a half days in Laylow Studios on the Portobello Road with Marc Ribot and her long term engineer/producer Rod Beale, making the album August. Umbria Winter Jazz Festival in Orvieto. 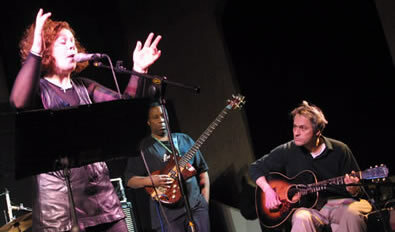 Italy with Marc Ribot, Henry Thomas, Greg Leppard, Scott Firth and her husband, David Coulter. To Italy for a week of promotional concerts for the Italian release of the August album with Matt Backer and Scott Firth. In Tuscany with Calum MacColl and Martyn Barker. At the studio of Lorenzo Tomasini, mixing the new album Love and Pain. With the band performing concerts around the UK. Performs her first concert in Berlin for many years with Kevin Armstrong, Martyn Barker and Henry Thomas. Flies to Montreal Jazz Festival with Henry Thomas and Greg Leppard to perform a concert with Marc Ribot. Decides to claim her life back by handing over management to Pete Jenner at Sincere Management and the agency work to Nigel Morton at Moneypenny. 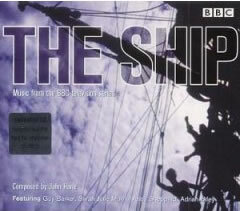 Release of an album to coincide with the TV series, The Ship, on BBC2. 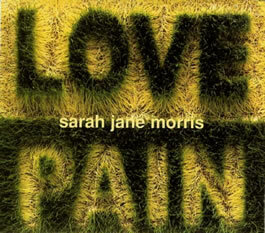 Sarah-Jane, with Guy Barker, Andy Sheppard and David Coulter, featured heavily on the soundtrack, written by John Harle, a long time collaborator. At Ronnie Scott’s on Sunday nights throughout the year. On one occasion with special guests, Paul Taylor (on trombone) and Terry Edwards (on trumpet). Calum MacColl and Martyn Barker return to Voom Studios to finalise the mixes for the Love and Pain album. To the Shetland Islands with Matt Backer for the very first time for a weekend of concerts. Concerts at various UK venues including a two night run at the Komedia in Brighton. Tours Canada including Montreal Jazz Festival, where the 2nd night was recorded for a future release. To New York. The touring party for Canada and the US were Calum and Neill MacColl and Henry Thomas. Vancouver Folk Festival with Kevin Armstrong - performed alongside the wonderful Billy Bragg, Ani Difranco and Michael Franti. Moves back to London after 8 years in the countryside. It was good to be back where it was all happening. Plays The Purcell Rooms to launch the UK release of Live at Montreal with Calum and Neill MacColl, Henry Thomas, Martyn Barker (one of the main co-writers of the past few CDs) and her husband, David Coulter, on musical saw. A series of concerts with John Harle arranging the music of Harry Cox, the Norfolk folk singer for Neill MacColl and sarah Jane. Ronnie Scott’s featuring many special guests from my musical past, including John Glyn and Richard Avison from The Republic, Matt Fox and Glen Gordon from The Happy End, Terry Edwards from Test Department, Annie Whitehead (from the days when I sang in her band), Richard Coles from the Communards, Roy Dodds, Kwaku Dzidzornu, Dave O'Higgins, Matt Backer, Kevin Armstrong, Neill MacColl, Henry Thomas, Martyn Barker, David Coulter and the wonderful Molly Parkin, who acted as MC. It was a night I will always remember, with two of my best friends, Kathryn and Julie, flying from New York for it and several fans coming from Italy. The Blue Note in Milan. New Year with Nick The Nightfly and his Big Band at The Blue Note. 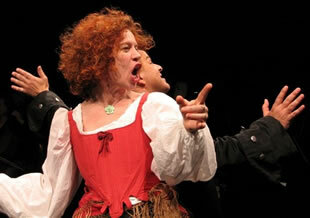 Plays many concerts in Italy with the Annie Whitehead-led project Soup Songs. Rehearses, performs and records the new opera Ballad of Jamie Allen, libretto by Tom Pickard and composed by John Harle. Omar Ebrahim as Jamie in Ballad of Jamie Allen. Guests with Nick the Nightfly (one of the best DJs in Italy working for Radio Monte Carlo) and his Big Band around Italy and Sicily. Marc Ribot flew to London and recorded several tracks with me for the follow-up album to August and then flew to New York to finish the recording. Booked for the first time to duet with American guitarist Tony Smith at Pizza Express Dean Street. I will be recording a track for his up-and-coming album. 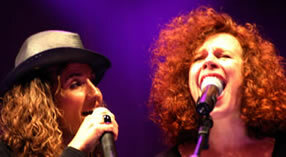 San Remo Song Festival with Simona Bencini doing a duet of Tempesta, now available as a download. Many concerts with Simona throughout the year including Taormina Ampitheatre in Sicily. May - to Los Angeles to see David, my husband, in The Blackrider and to see my drama school pals Sarah Jackson and Julian Sands. Wonderful family holiday! Italian film and TV awards to sing Blue Valentine arranged by Enrico for Rudolph Valentino award to Matt Dillon. Summer tour of Italy in July with the band, Kevin Armstrong, Neill MacColl, Henry Thomas, Martyn Barker, Rod Dodds, David Coulter and Otis Coulter. Tour of Southern Italy with Orchestra Sinfonica di Lecce in August singing the music of Cole Porter and Gershwin. September - Southern Italy tour with Simona Bencini. My first tour of Austria organised by the wonderful Manfred and his friends, and family (seen above) who helped us pack out the concerts and gave us such an amazing time. January - recorded a CD of Xmas songs, Angels at Christmas, written by my dear friend Kathryn Williams from New York, with Alastair Gavin and I producing and Henry Thomas, Mornington Lockett and Roy Dodds, guesting. July – in Canada at Vancouver Folk Festival courtesy of the wonderful Dugg Simpson with the amazing MacColl brothers, Calum and Neill. What a joy to hear them play and sing! The highlight of the festival for all three of us was discovering the talents of Hawksley Workman, the wonderful Canadian singer songwriter. The glorious Michael Charland and Trevor helped organise an extra concert at Rhime in Vancouver and, as ever, looked after us in style. Thank you both very much. July - Italian tour with Dominic Miller, Tony Remy, Neill MacColl, Martyn Barker and Henry Thomas. Many UK concerts throughout the year including a visit to the new Vortex in Dalston, Burnham Market, Oneten in Birmingham, Chipping Norton Theatre, Ludlow and many more. during the 2007 Italian Summer tour. December – the release of Angels at Christmas on the web site and many concerts of the songs from the CD in Italian churches with Danilo Rai on piano. What a wonderful moving experience! New Years Eve - Sardinia with Paul Hirsh, Kevin Armstrong, Martyn Barker and Henry Thomas. January - plays three nights at my favourite Milan venue, The Blue Note. February - Sicily for the first time in a few years - it was lovely to be back. Sings with The New Trolls and PFM in a huge concert in Genoa, having recorded two tracks for their best of CD last Summer. March - plays the International Woman’s Day Festival in London. Several concerts in Italy with Dominic Miller. May - I recorded the soundtrack to Bring me The Head of Ubu Roi. I recorded my new solo album at the Dairy Studios in Brixton with Dominic Miller, Tony Remy, Alastair Gavin, Henry Thomas and Martyn Barker. The album will be called Where It Hurts and is due for strings to be added and to be mixed by Phil Brown in August. I played the Hay Literary Festival with Dominic Miller. We sold out the Guardian Tent and appeared on the Mariella Frostrup show for Sky Arts singing one of our co-writes, You’re Really Nowhere At All. June - I played at Ronnie Scott’s for the first time in many years for 3 nights performing songs from the up and coming albums, Migratory Birds with Marc Ribot and Where It Hurts, the new album with the band . Plays the Ulverston Festival, Wavendon (musical home of Cleo Laine), Chipping Norton Theatre and Burnham Market as well as performing with Nick the Nightfly, his big band and Palermo Orchestra at Teatro Massimo. July - many concerts in Italy with band, Dominic Miller and Nick the Nightfly. 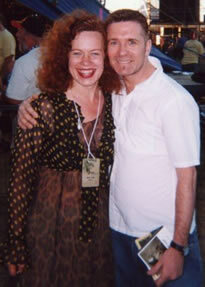 September - Dominic and I off to Canada for 4 or 5 dates and New York for 1st time in years at Knitting Factory. A return to The Blue Note but this time with just guitar and voice with Dominic Miller. Three dates in Rome with Dominic.